Simon Leclerc studied at the Conservatoire de musique de Montréal and quickly made the leap into various musical worlds – from backup singer for Céline Dion to musical comedy – and he became an arranger-orchestrator especially sought after by Québec artists. A record producer, he has also written music for the cinema, for documentaries and for television. With the OSM he has been responsible for orchestral concerts showcasing Lorraine Desmarais, Bruno Pelletier, Isabelle Boulay, Gino Vannelli, Diane Reeves, Laurence Jalbert, Starmania, Notre-Dame de Paris and Starmania vs. Notre-Dame de Paris. For six years he traveled to Los Angeles to lead the Paramount Pictures orchestra for TV series like Star Trek: Voyager and Star Trek: Enterprise. In 2005 he conducted the series of orchestral concerts given by Charles Aznavour in Canada. Yannick Nézet-Séguin called on his services for the production of the disc Kurt Weill featuring Diane Dufresne. Simon Leclerc is also the composer of the Concerto for Radio Host and Orchestra, an OSM commission that was conducted by Kent Nagano and featured René Homier-Roy. In 2011 he premiered a very different kind of show, a sort of musical allegory that allowed spectators to enter his creative world, Les synapses de Simon Leclerc, staged at Cinquième Salle in Place des Arts. 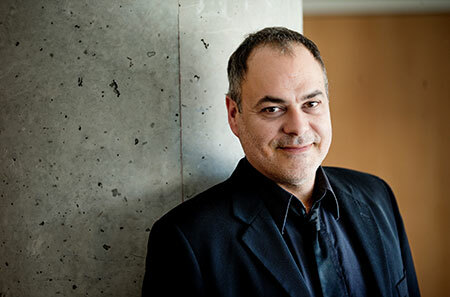 – In the spring of 2014 he conducted the OSM in “Hats off to Les Belles-soeurs”, the musical stage work by René Richard Cyr and Daniel Bélanger based on the eponymous play Belles-soeurs by Michel Tremblay.